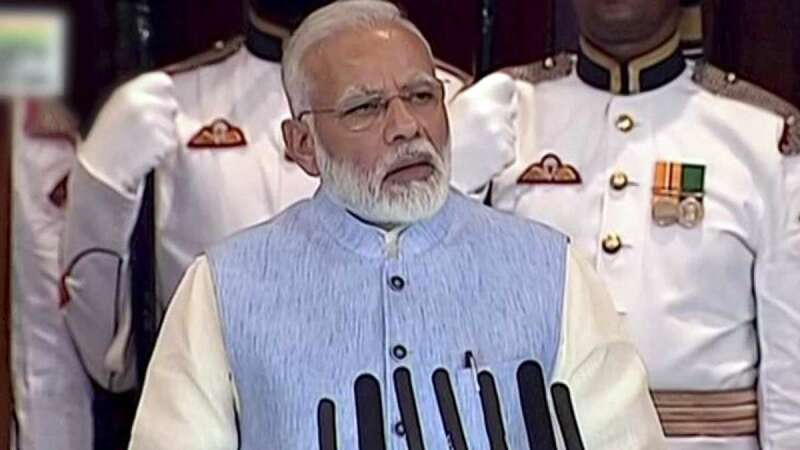 New Delhi : Prime Minister Narendra Modi on Friday said the Goods and Services Tax (GST) would help chart out a new course for the country and its roll-out should not be seen as the achievement of any one party or government but a collective effort of all. "We are deciding India's future course. We will chart a new course for the country at midnight with the launch of GST which is not an achievement of any party or government but a collective legacy. It is a result of our collective efforts," Modi said, speaking in Parliament during a special function to launch the GST. Calling GST "good and simple tax", the Prime Minister said there would be a little problem in the beginning but everyone would familiarise with it in due time. The Prime Minister said with this landmark tax reform measure, the dream of "one nation, one tax" will be achieved. "GST is not just 'ease of doing business' but 'way of doing business'. It is an important step in economic reform. Ahead of that it is also a social reform towards honesty." "Since past several years, the process was carried out under the guidance of eminent personalities and various teams which gives example of cooperative federalism. It will give us more strength to move ahead together. It is a reflection of team India's potential. "When the Constitution was being written, intellectuals from across the country used to debate, there would be moments of disagreement, (but) they would find ways out. If they had a disagreement, they would find a middle path. Likewise GST is also an outcome of long-held thought process," the Prime Minister said. All states and the central government discussed it for years, he added. "Best brains in the country debated over it continuously, that is why we could see the GST roll-out today." He said the Constitution offered everyone equal opportunities and rights. "GST brings uniformity in the economic system." "India has got rid of over 500 taxes and is ushering into advanced taxation system. It is more simple and transparent. It will help in containing black money and corruption," he said.